Need something outside of the box? Our team of experienced software developers provides custom solutions to fit any business challenge. Utilizing our website software framework, we will design, build and deploy the right solution rapidly and effectively. Our software solutions will seamlessly integrate with your existing website, database infrastructure and business processes. 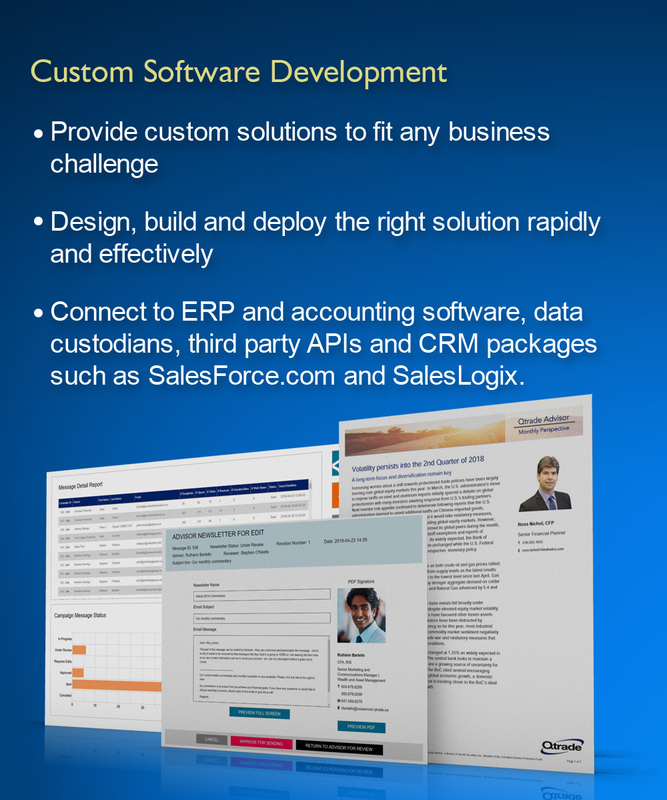 This includes connecting to ERP and accounting software, data custodians, third party APIs and CRM packages such as SalesForce.com and SalesLogix. It’s all about bridging the gap between off-the-shelf software and creating the best fit software solution for your business requirements. And, of course, getting you there on schedule without breaking the bank. Look to Shrinking Planet to turn your next custom website software challenge into an effective business solution. Shrinking Planet developed a solution for us to accept client account applications that seamlessly integrates with our SalesForce.com CRM. In doing so, they have helped us to enhance and streamline our lead generation and client management processes. I would not hesitate to recommend them to anyone.